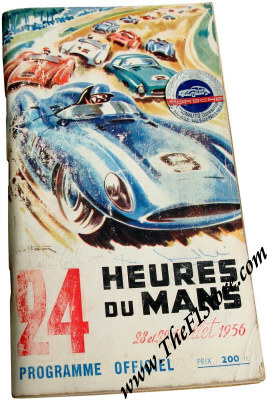 Vintage Original 1956 24 Hours of Le Mans Program Autographed by Peter Collins and Ken Wharton. Apart from being quite a rarity in its own right, this one was signed on the cover by racing greats Peter Collins and Ken Wharton! 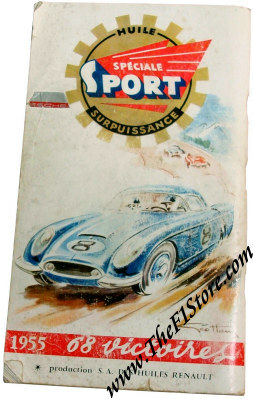 Peter Collins (1931 - 1958) was teamed up with Sterling Moss and the duo drove their Ecurie Ecosse entered Aston-Martin DB3 S to a second place overall, a mere 1 lap behind the winning Jaguar D-Type of Ron Flockhart and Ninian Sanderson. Peter signed the cover in pencil. Ken signed the cover in blue ballpoint. 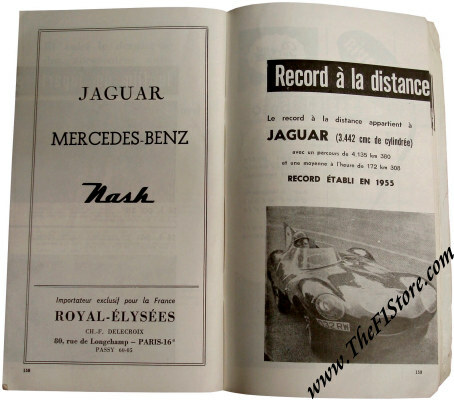 The booklet measures some 13 x 23.5 cm and contains 188 pages filled to the brim with information of the cars, the drivers, previous editions of the race, the track and of course great contemporary advertising. The race was won by Ron Flockhart and Ninian Sanderson in their Jaguar D-Type with a total of 300 laps to their name. 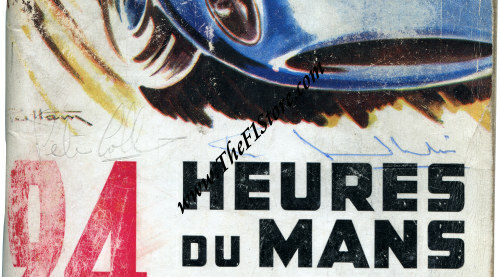 For the full results of this race, please see 24 Heures du Mans results 1956. Only 1 available of course as every autographed item is unique and we provide a Certificate of Authenticity with it which guarantees that these are genuine signatures.